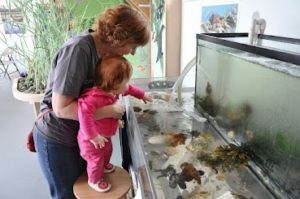 Come by the Estuary Nature Centre on Thursday afternoons and long-time volunteer Kerrie Talbot will be there to greet you and show you around. A life-long valley resident, guardian of the Great Blue Heron colony in the ravine just across the road from the Centre, and local Park’s Commission chair, Kerrie has lots of local knowledge to share. Kerrie, a retired children’s librarian, also hosts 4-weeks of stories, songs and games for preschoolers every Spring and Fall. Stay-tuned for her Thursday morning offerings this coming November. Thank-you Kerrie! We are grateful for all that you do for children and nature education in the estuary!